Modern-day mothers are blessed with a plethora of choices when it comes to postpartum care. Whether you are a new or experienced mother, you deserve the very best to ensure a smoother and easier transition to life with your baby. Here are the top 5 confinement centres in Puchong that come highly recommended by our readers. Happy Baby Confinement Centre is built with the aim of promoting healthy parenting and the bonding of parents with the baby. The confinement centre has successfully integrated a traditional and at-home style of confinement method with a professional and modern touch. 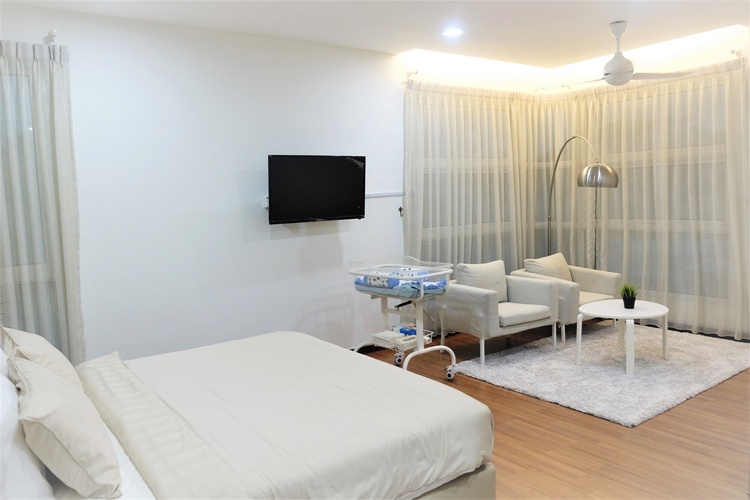 Located at 450 feet above sea level in Saujana Puchong, Happy Baby Confinement Centre boasts of a naturally cooling environment that makes for a pleasant stay. 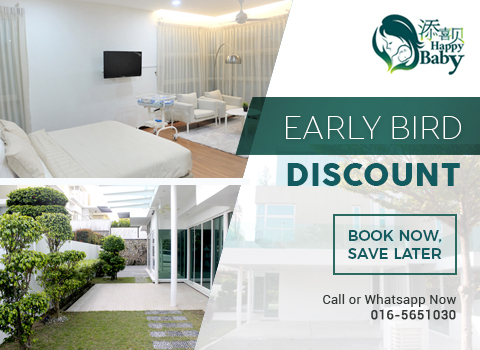 Equipped with every amenity a new mother needs, the house is also surrounded by lush greenery, making it an ideal home away from home for you and your baby. Daddies are welcome to stay with mummies at no additional charge. For more information about Happy Baby Confinement Centre, visit our webpage. 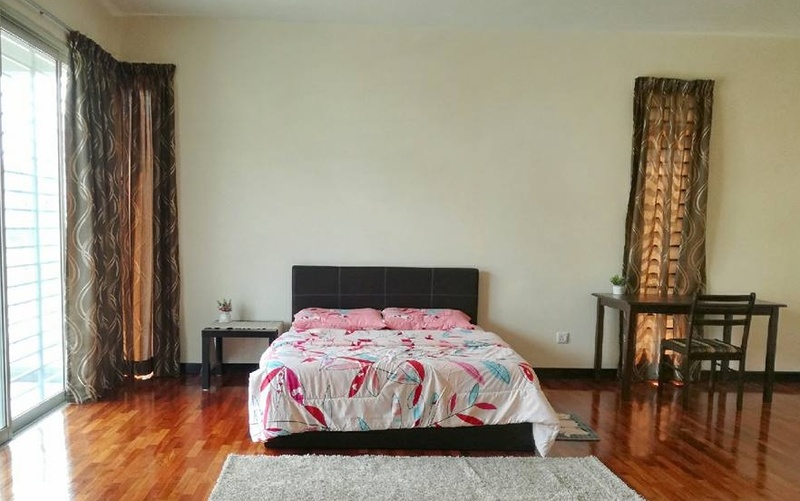 Surrounded by the scenic lakes of Puchong lies the picture-perfect township of D’Island Residence, a habitat born of a vision exquisite living for the privileged few. LTC Confinement Centre nestled amidst lush blooms and natural flora. With shimmering lake view that is completely guarded and security. This is a luxury confinement centre suits for those who seek a relaxing and peaceful environment. 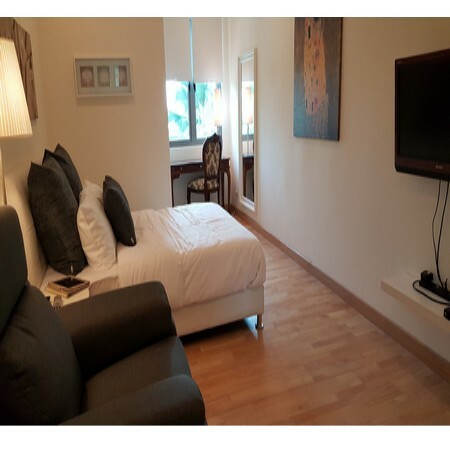 You can get a room with or without the lake view. Fully secure with 3-tier security and the island is surrounded by 1000 acres of water lake. A really fun and memorable postpartum experience for new mommies. Click here to know more about LTC Confinement Centre. Bonne Mere means good mother in French. 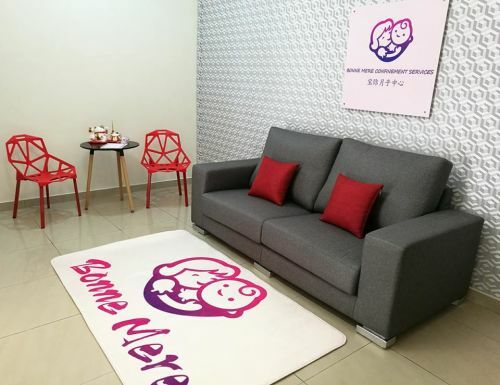 In Bonne Mere, they believe in providing the best post-natal services to mothers. Integrating traditional practices with modern science applications, they create a close-to-home experience, as if you re well taken care of by your own mother or family member. You will get the best care for your health through nutritious meals and double-boiled soups and desserts. Mothers also get to learn how to massage their babies and shower them. Massage class is conducted by TCM doctor. Read reviews about Bonne Mere Confinement Centre here. Joyous Confinement Care Centre provides all the care and guidance at mothers need during one of the most important moments of their lives. 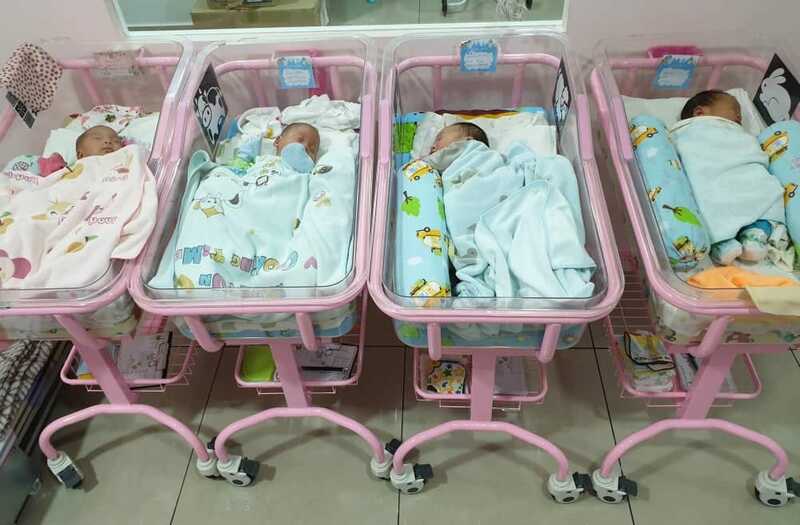 The team of experienced staff will guide novice mothers and dads in caring for their newborn and ensure that all the needs of mother and baby are fully met including nutritious confinement meals. Mothers can relax in a comfortable environment and private space while having the peace of mind that their babies are in good hands. The nursery room is filled with comforting classical music, which has been proven to help develop a baby’s creativity and hearing abilities. For more info, read here. Maison Confinement Centre offers professional services that ensure every mother and baby are well taken care of and feel at home during their stay there. Mothers can focus on getting all the rest and privacy they need. The delicious and nutritious confinement food is made from the freshest ingredients and highest quality Chinese medicinal herbs. They hold cleanliness and hygiene to the highest standards, too. For more information, visit our webpage.